Billed as Marvel’s first family, Fantastic Four had taken a backseat to more popular characters after a series of resurgence attempts through movies and comics. However this time Marvel has made a concerted effort to put the Fantastic Four back into the spotlight through the PlayStation 4 game developed by Insomniac Games Marvel’s Spider-Man. In addition to that, Spider-Man will be donning two new suits, both inspired by Peter Parker’s look in the issues of Fantastic Four. 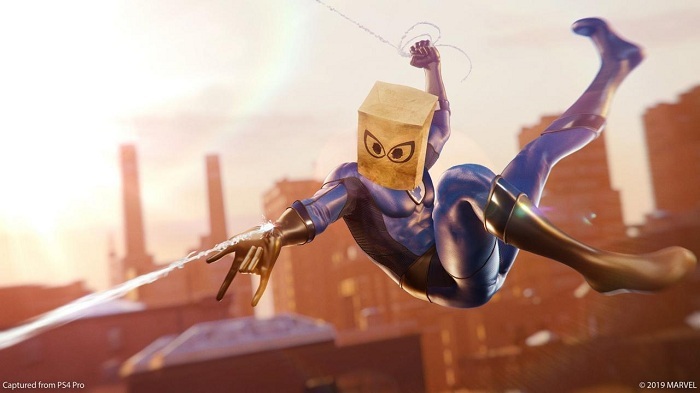 The Bombastic Bag-Man suit, in which Peter Parker wears a paper bag over his head and an old-school Fantastic Four uniform over the rest of his body, and the Future Foundation suit are available for Marvel’s Spider-Man as part of a free update. Spider-Man has a long history with the Fantastic Four. The family supergroup appeared on the cover of Amazing Spider-Man #1. In that issue, Spider-Man broke into the Fantastic Four’s headquarters in a misguided attempt to get a job with the group — he abandoned the attempt when the Four told him they worked unpaid. In issue #258 of the same series, Spider-Man turns to the Fantastic Four’s Reed Richards for help in understanding his new suit, the black costume that would go on to become one half of the anti-hero Venom. When Spider-Man was separated from his alien symbiote, Johnny Storm, long-time friend of the webslinger, loaned him a costume (and a paper bag) to help Peter conceal his secret identity. And lo, the Bombastic Bag-Man was born. Spider-Man’s Future Foundation costume comes from another team founded by Fantastic Four’s Reed Richards. The Future Foundation, whose members have included the likes of Spider-Man, Dr. Doom, Ant-Man, the original Fantastic Four, and Reed and Sue Richards’ super-powered kids, wore cool, matching black-and-white costumes. The Future Foundation debuted in 2010, in Fantastic Four #579, and Spider-Man joined the group a year later, in the place of the Human Torch, in FF #1. 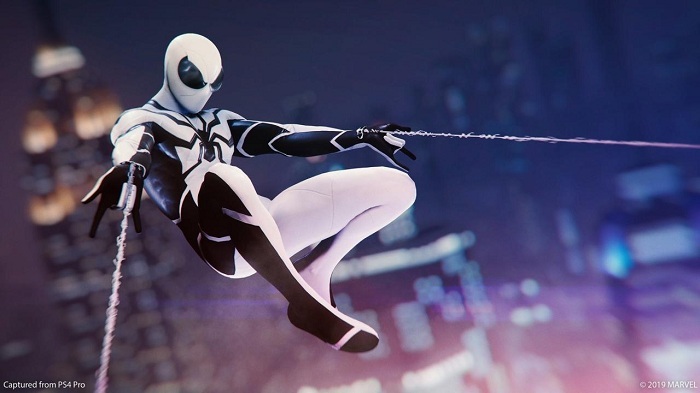 Both The Bombastic Bag-Man and Future Foundation suits are featured as part of patch 1.14 for Marvel’s Spider-Man on PlayStation 4.